I can't believe we are possibly less than 4 weeks away from meeting baby girl! It's a pretty crazy concept to wrap my head around when I think about it, but I think we are as ready as we can be for being first-time parents. The nursery is done for the most part, all of her clothes are washed and hung up, my hospital bag is packed, her diaper bag is packed, and the car seat is in the car! All we need is for her to come, but we are hoping she stays in and bakes a full 40 if possible! I think most of you know that I am planning a natural, unmedicated, water birth as long as she cooperates. I've read everything I think I can about natural labor & water birth, we took our required classes, and so far she has been cooperative enough to make me think it will be possible. Obviously I've never birthed a child so I could easily, in the midst of labor demand an epidural, but that's what I hired a doula for, to help keep us (mostly me) with our heads in the game and stick to our plan if at all possible. Our hospital does offer nitrous-oxide, also known as laughing gas which is just a temporary relief and allows you to continue to be up and out of bed and laboring/birthing in whatever position you need so if anything, that is all I plan to use. When I started really reading into natural birth and ways to get my body prepped I found tons of great articles and I read Ina May's Guide to Childbirth which I would HIGHLY recommend to anyone considering a natural birth. 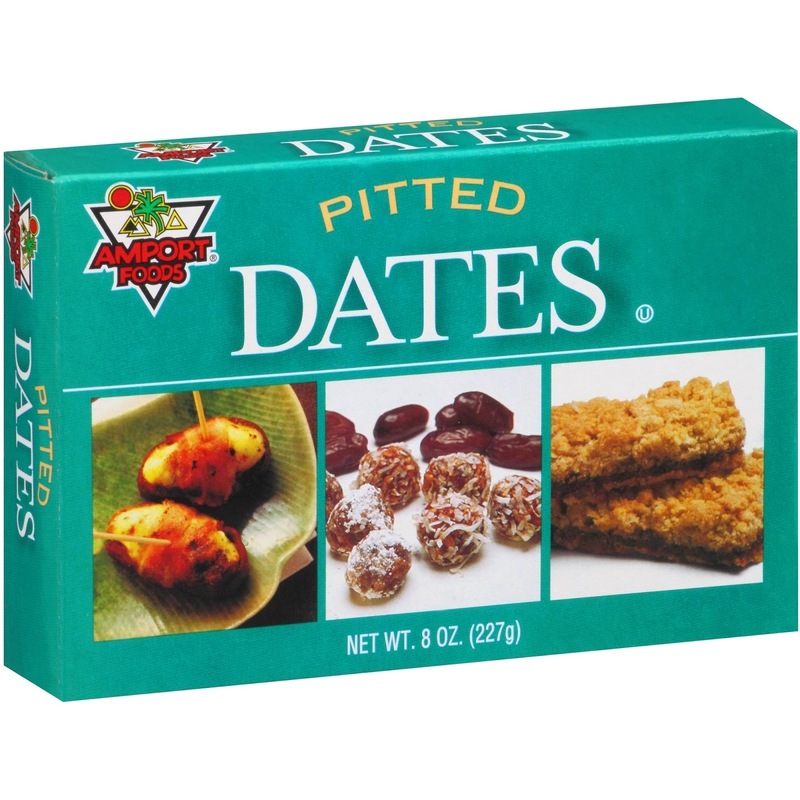 One thing I read that really stuck out in my mind was eating dates. I had read this early on in a post from Detoxinista and instantly thought, well that seems like it'd be pretty easy, and saved it for later. I read it again in a post from Mama Natural (another great source for all things natural) and I really was convinced I would try the dates. Dates have actually been found to have an oxytocin-like effect on the body leading to increased sensitivity of the uterus. It also helps stimulate uterine contractions, and reduces postpartum hemorrhage the way oxytocin does. They also found that it contains many nutritional benefits for pregnant mamas. Dates contain natural sugar, fiber, potassium, vitamin K, folate & magnesium. Obviously there are tons of benefits to dates. So, I've been sharing how I've been eating dates on my Instagram and have been asked by several people for the recipes so I figured I'd share the few that I've tried so far, and really loved! Add all ingredients to the blender, mix, and enjoy! 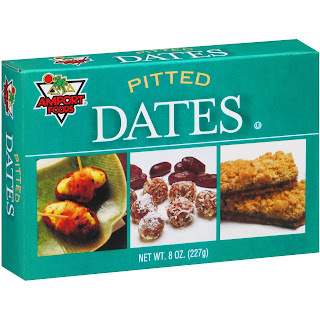 There are lots of variations you can do, dates don't have a ton of taste and the brand I got I believe they are rolled in sugar so they're really not bad on their own. I typically eat 2 of them just plain by themselves and add 4 to the blender. I also have been eating Larabar's which contain maybe 1-2 dates depending on the size of the bar. They have all kinds of yummy flavors like lemon & cherry pie. I also found Quaker Instant Oatmeal Raisin, Date, & Walnut which is pretty good. Oatmeal has tons of benefits and actually is really great to eat while breastfeeding so I'll continue my oatmeal kick for awhile. I will also link you to this Mama Natural article about Red Raspberry Leaf Tea. I wish I would have started drinking it sooner, but I am not a fan of tea at all so I'm glad I was able to incorporate it into a smoothie for easier consumption. Apparently there are RRLT capsules you can take instead so I might try those once I get through my first box of tea. Hoping that all of this stuff works and allows for a quick and easy birth! If you crave something salty, another way to eat dates is to roll one and one in a piece of bacon and bake them in the stove, sort of tapas style! Its so good, and the sweet n' salty combo is amazing!